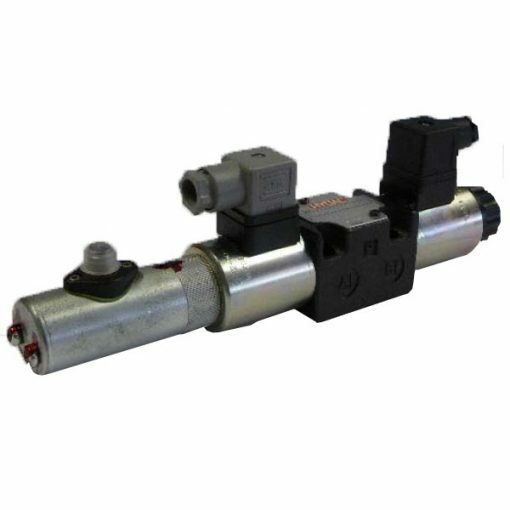 The P4WER 06 is a direct acting solenoid valve. It means that it combines the directional control with the velocity control of the consumer. Moreover, the controlled nominal flow is proportional to the electrical input signal at the coil. So, analogue to his size the coil creates a force and moves the piston against the spring. Then herewith it opens the corresponding cross section diameters are opened which determines the flow rate in dependence of the pressure differential.